Xiaomi is a name that is slowly but steadily gaining popularity all around the world. The company is being recognized for its laptops, smartphones and consumer electronics. 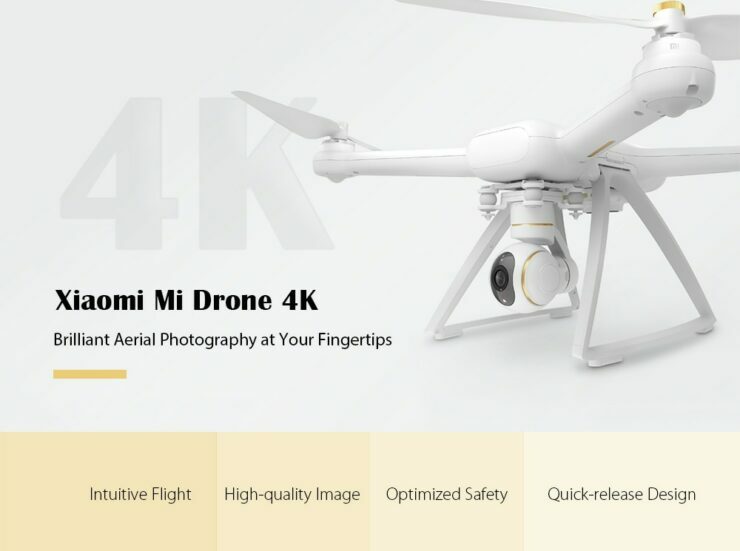 Last year the XIAOMI Mi Drone 4K WiFi FPV RC Quadcopter was released and it raised a lot questions about whether the company would be able to establish itself in this market when companies like DJI existed. However, the product is extremely hard to find in the US mainland and Amazon and other sellers overcharge for the product. Well, not anymore. 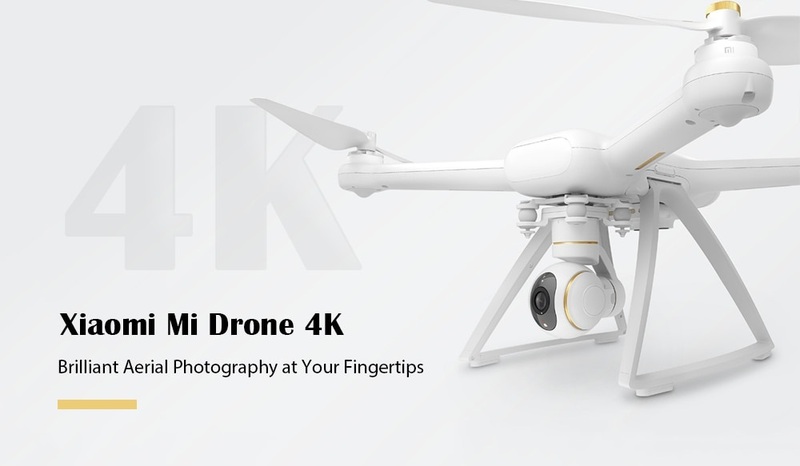 Gearbest is giving a great promotional discount for a limited period of time as part of their flash sale that will allow you to purchase the XIAOMI Mi Drone 4K WiFi FPV RC Quadcopter at a mere $433. This would make it the best drone under the $450 mark – and a 4k one at that. The discount is available only for a few days so the faster you purchase it the better it would be. Before you choose to invest in the product, here are some specs that you would want to know. 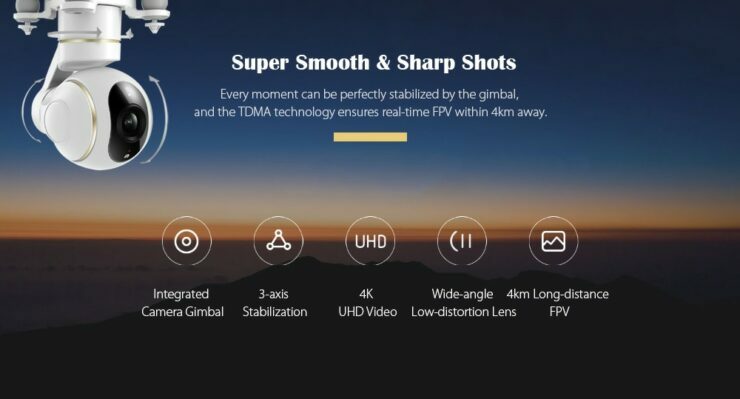 Camera: The drone comes with an integrated 4k camera with 3-axis gambal stabilization capable of suppressing up to 2000 vibrations per second. It offers 4k video quality and low latency and a very strong anti-interference technology. Range: These features allow you to take good quality pictures without disruption even if you are 4 km away (maximum range tested in an unobstructed area without live view was 6km). 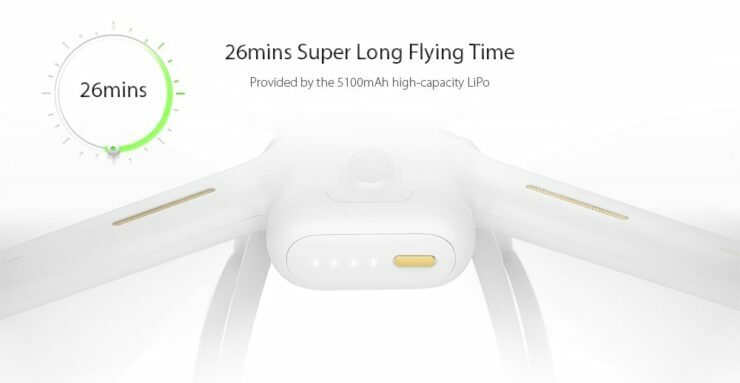 Battery life: Compared to the phantom series, it has a much better battery life and can fly non-stop for ~27 minutes. Another great feature about the MI drone is that it can calculate the power needed to return home. In the case of low battery, it will utilize this feature and return safely home. Positioning and Hovering: The MI drone has a light body that allows better flight performance. The ARA-D airfoil propeller also allows higher aerodynamic efficiency. The GPS and GLONASS positioning makes the hover much stable compared to the DJI Phantom 3 series. Security systems: The MI drone has multiple security systems that ensures that your drone is safe every time it is set in motion. As I already mentioned before, the drone returns home when the battery is low. If the remote disconnects for some reason, the drone is equipped to return home. The drone comes with GPS real-time tracking and it also has the ability to stop and hover if it approaches a no-fly zone. 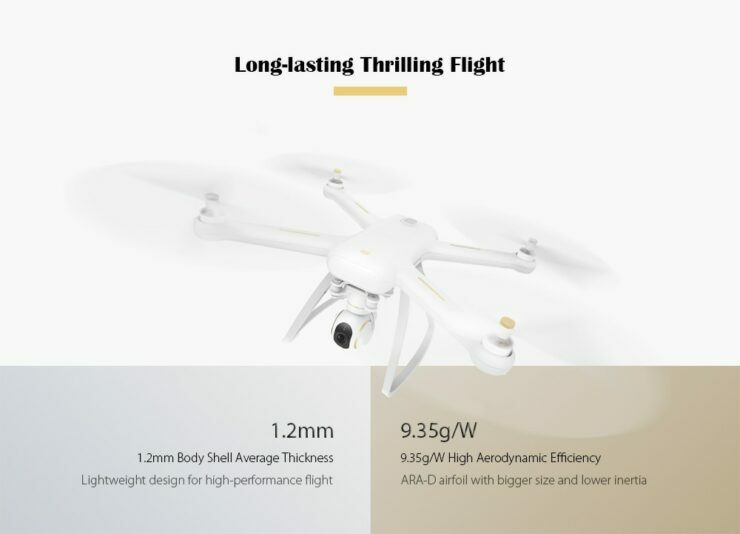 The Gearbest discount is amazing. Why? 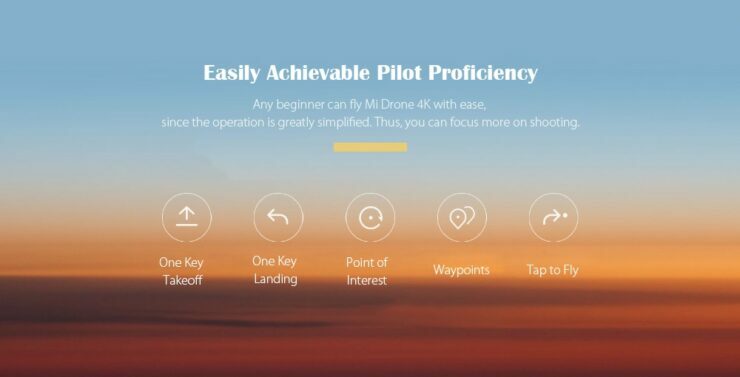 Well, it will allow you to purchase the highly reviewed and preferred drone at a great flash sale price. It will be available to you in a month if you order now. If you want to avail the deal you should hurry up because the pieces available are limited and the days till the sale ends are also limited. You can check out more sale items on the Gearbest Flash Sale.